I've been spending real quality time with David Bowie's new release, "The Next Day." I've been courting it for a week now. Bought it dinner and cocktails, taken it on long walks, to the zoo, and paid very close attention to its wants and needs. With all the time I've spent defending Bowie's work of the last 15 years on these pages...and believing every word I've written, damnit...I owed it both to you and myself not to treat this monumental occasion as just another record release. It is not just another record. This is one of the most anticipated records of the last 10 years. I've wanted this for some time and the good news is, it sounds exactly as I wanted it to sound. "The Next Day" is more than a comeback. This record is one of David Bowie's greatest achievements and no self-respecting David Bowie fan will convince me that it is not right in their wheelhouse. Now that I've slobbered all over your desktops, let me tell you why. "The Next Day" doesn't feel like David Bowie trying to stay relevant. 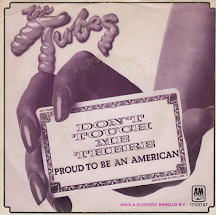 It's not hit or miss musical experiments or collaborations with pop stars du jour. This is not 80's Bowie, with big MTV production and dance beats. This is not 90's Bowie trying get on the techno bandwagon. This is David Bowie making David Bowie music. 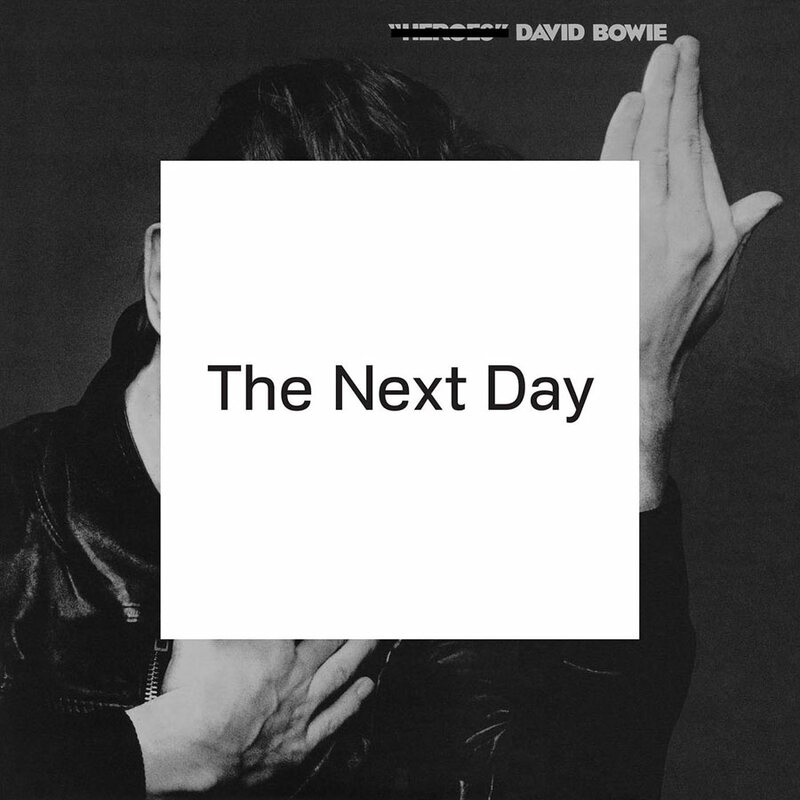 "The Next Day" plays like "The Best Of David Bowie," except the songs are all new. Tony Visconti has a stellar production resume, but I haven't always loved his studio mastery with Bowie. Two of my least favorite Bowie records are "Lodger" and "Scary Monsters," and as much as I love 2002's "Heathen" & 2003's "Reality," I can't help but think how those records might have had a wider acceptance if there was a bit more space and fewer kitchen sinks. (Or maybe too many were still smarting from "Tin Machine II." ) "The Next Day" rights those wrongs. Please don't misunderstand me. This is not some minimalist affair. I'm just thrilled that I can hear things. Sounds are not bleeding into each other on "The Next Day." The reverb no longer goes to 11, merely a 7 or 8. (This was more of an issue on "Reality." "Heathen" remains an underappreciated classic.) You can recognize acoustic guitars, percussion, bass lines, drum patterns, and textures we usually associate with Brian Eno. It's a full sound with plenty of breathing room. The freneticism of Bowie's uneven 1997 foray into club music, "Earthling," rears its head on "If You Can See Me," and the stadium bombast of "(You Will) Set The World On Fire" provide what I feel are the two weakest moments of the record. Bridging those weak moments to the finale are three songs, "I'd Rather Be High," "Boss Of Me," and "Dancing Out In Space," each with its own attractive way of worming their way into your ear, and each, in a greater musical world, potential hit singles. This trio reminds me a bit of what's found on "Heathen," yet there is no doubt that these songs ooze classic Bowie. But let's talk about "How Does The Grass Grow" and "You Feel So Lonely You Could Die," two of "The Next Day's" strongest moments. The album closes with "Heat," a gloomy piece of music that is just as much Side Two of "Heroes," as it is Scott Walker's later work. An edgy way to go out, and I dig it. There is something completely satisfying about new, solid music from an artist who, let's face it, was written off as close to dead. It is also a relief. 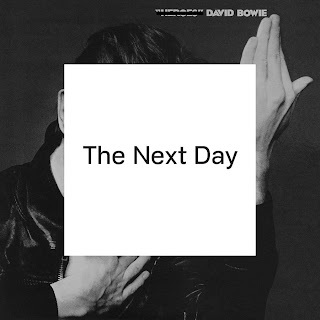 If I had waited 8 years for new Bowie music and dropped the needle on "The Next Day" only to hear someone reminiscent of the Bowie I loved, I may not have recovered. I can't wait to hear this and look forward to sharing my opinion. Thanks for the detailed comments! I can't argue with a word you've written about this. I haven't decided if it's a five-star album, but the fact that I don't hate a single track is telling. Really nice review, Sal. The music industry these days is such that really big releases like this, for those of us not in our 20s (or 30s), are very few and far between. 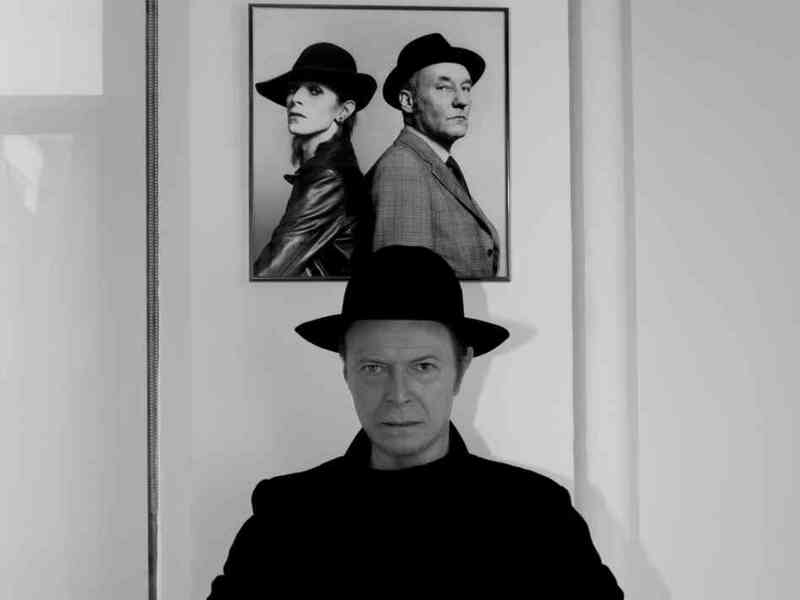 And so - I really WANT to love this new Bowie LP. Haven't heard it yet, other than the 2 first singles, but reviews like this really get me stoked about getting it and settling in. Makes me realize how much I've missed what Bowie does. Sal, great review. Can't wait for the album release. I've been so preoccupied with metal over the last few years--I blame John for this--that I've forgotten my roots. Actually, I think my roots are Johnny Cash and Englebert Humperdinck, but I digress. Thanks for an inspiring review. This album is really good. I've listen to it several times and every song is very enjoyable. The Voice is still here, and the production skills (overdubbed voices in harmony, subtle changes in the song structure, etc). But it is real talented Bowie music because it is very different from many cold albums done without this unique style. Well, I started to love his music since the 70's, so maybe I'm too easily disappointed. I've been raving about You Feel So Lonely for DAYS now to anyone who will listen. So glad you agree ! I agree with the rest of your comments, and glad you are coming around on Stars. It took me a few listens too! Hard to think of a more impressive comeback. Many equals, perhaps, but is there a MORE impressive comeback album ? I've given it one listen so far, but pretty much agree with everything that's been said. "Love Is Lost" is my early personal favorite on the album. Great review, Sal. On the street the other day I noticed a poster for this album, I looked closer at a jumble of small print bleeding together and after a while realised I was reading the lyrics to the songs...it was a turn on. The words to "You Feel So Lonely You Could Die" made an impression at the time (and still do). I am sorry to say that I was a big fan of David from Spiders to Low. After those, I was a precursor to the music usage of the new millennium-a single here, a song there, I followed Dr. Sal's prescription and was captured by the first three songs-and then-had the the key thrown away by the next three. So much so, that I have just finished a day long jag of the Bowie catalog. What I have missed because, well, I have no excuse. I don't want to sound like my parents, but I am going to. What was in the water all those years ago? Bowie, the Beatles, the Stones and on and on. Hell, even Alvin Lee has more longevity than any Beiber or Swift ever will, if only for that Woodstock footage. The new Bowie album is as exciting a release as he has ever done, proving that the 60s and 70s never die, they just fade away. I also have good feelings basically re the album, especially admiring Dancing Out in Space, Valentines Day, and Steve Elson's [an old friend-collaborator, Bowie 'stole' him from our band circa 1982!] Bari sax parts are COOL on Dirty Boys & Boss of Me. Probably the best review I'm going to read anywhere on this record. Absolutely spot-on review, Sal. Loving this album without reservation. Deservedly stands with the classics. This will certainly be on repeat for a long, long time. Preach, Sal- it's brilliant. And what an opening track! The Dame can be put with my other 2 fave Old Brit Buzzards, Nick Lowe & John Cale; it's bloody great work without being forced, embarrassing, & (sorry) Mick Jagger-esque. The more I listen, the more I hear many similarities to the arrangements found on 'Lodger' and Iggy Pop's 'The Idiot'; less the darkness and paranoia. Hey Sal -- I'd like to link to this post when I put up my review of the album. (Mostly because "it's the best of Bowie only all the songs are new" is such a great summation.) That OK with you?